Keeping your vehicle’s brake system functioning properly is key to your safety as well as the safety of your passengers and the others on the road around you. It’s easy to take your brakes for granted—until you push the pedal and your car doesn’t stop like it should. Sudden, unexpected problems with your brake system can be scary and potentially very dangerous. Keeping your brake system working as designed doesn’t have to be a frustrating, time-consuming challenge. You need a trusted mechanic with decades of experience servicing and repairing brake systems on all types of vehicles. At Action Gator Tire, we’ve been inspecting and fixing brake systems for more than 50 years. We have 29 locations throughout Central and South Florida, so quality brake repair is always right around the corner in our area. Our ASE-certified mechanics specialize in inspecting, servicing, and repairing all components of braking systems on all types of vehicles. Read below to learn more about our brake repair and replacement services. Even if you’re not a mechanic, you can still learn to recognize the signs your brakes might have an issue. Knowing what to look, listen, and feel for could make the difference between catching a problem before it gets worse and having a potentially serious collision. You might hear squeaks or grinding when you brake or feel vibrations through your suspension or steering wheel when you push the brake pedal. Your pedal might feel mushy all of a sudden or fall closer to the floor when you push it. You might smell an unfamiliar burning or noxious odor as you’re driving or after you park. 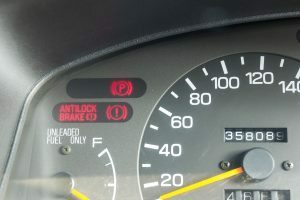 A brake system warning light could appear on your dash. If you experience any of these warning signs, or have any doubts at all about your brakes, bring your car to your nearest Action Gator Tire location as soon as possible for service. Your car’s brake system includes a variety of components that translate the force of your foot on the brake pedal into stopping power at each of your four wheels. Our brake system experts understand every part of your vehicle’s brake system. We’ll carefully inspect every piece, from the pedal to the hydraulic system, calipers, pads, rotors, drums, and computer control (ABS) systems to ensure everything’s working properly and identify any problems or areas of concern. Then, we’ll carefully explain our findings with you, help you understand your brake system’s condition, and provide trusted advice for your best plan of action. Most modern vehicles use disc brake systems. These use a round brake rotor directly attached to each wheel that’s squeezed by a caliper with brake pads to create friction and slow the car down. Over time, disc brake pads will wear down, and the discs themselves can warp or wear out with heavy usage. 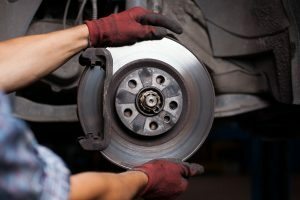 At Action Gator, we perform routine disc brake repairs frequently at our locations throughout South and Central Florida. Whether it’s simple brake pad replacement or full pad and rotor replacements, we’ll make sure you have the fresh pads and rotors you need to stop quickly, safely, and reliably. 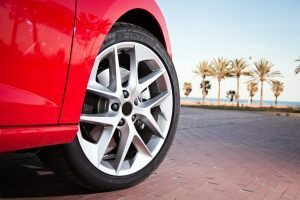 Certain vehicles, especially older cars or base models, might use “drum” brakes or a combination of disc brakes on the front wheels and drums on the rear wheels. Like disc brakes, drum brakes create friction to slow down the vehicle, but they do it a bit differently. These systems use brake pads that are fully enclosed inside a metal drum. When the brake pedal is pushed, the pads are pushed outward against the inside walls of the drum, causing friction and slowing the vehicle’s speed. Drum brakes are effective, but they’re a bit more difficult to inspect, service, and repair. The brake experts at Action Gator are fully trained, equipped, and experienced to fix any issue you could be having with your drum brakes. Anti-lock braking systems (ABS) have been around for decades, but they’re now a required feature on every car sold in our country. These systems use computers to keep tires from “locking up” and skidding out of control when brakes are pressed too hard. Tires that are skidding or sliding rather than gripping won’t stop a vehicle as fast as tires that are gripping properly, potentially leading to danger or collision in addition to rubbing bald spots into your tires. ABS is usually triggered in wet or icy road conditions or under extreme emergency braking situations. They simply pulse the brake calipers rapidly to reduce the friction and allow the tire to grip the road as designed instead of locking up. If there’s a problem with your car’s ABS, you’ll either see a warning light on your dash or notice your car skidding under hard braking. At Action Gator, we have the tools, equipment, and knowledge needed to repair your ABS and ensure your safety in all driving conditions. Your car’s parking brake, also known as an emergency brake, locks it into a parked position. They help hold your car firmly in place when parked on a sloping road or driveway, keeping the weight off of your transmission and drivetrain and ensuring it can’t roll away. They also provide emergency braking force in the event of a major problem with your vehicle’s main brake system. Over time, your parking brake cable might stretch or otherwise need adjustment to keep working effectively. The Action Gator team is here to inspect your parking brake system and perform any needed repairs or replacements to keep you safe and secure your parked car.